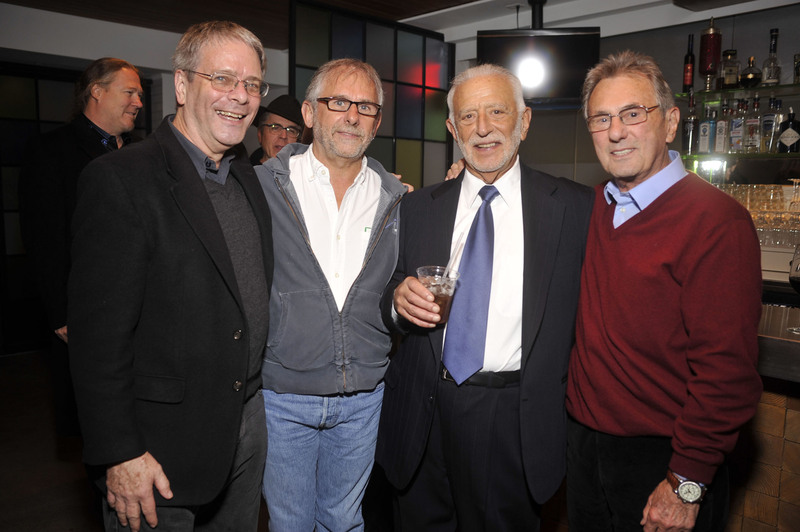 SANTA MONICA, Calif. (October 25, 2011) — On Friday, Oct. 21, 2011, The Recording Academy® Producers & Engineers Wing®, APRS and SPARS presented In The Mix® at AES, bringing producers, engineers and industry professionals together for a cocktail reception and awards presentation. Celebrating excellence in professional audio, APRS recognized GRAMMY®-winning producers Steve Lillywhite and Geoff Emerick with the Sound Fellowship Award and SPARS honored Joe Tarsia with the Legacy Award. The event, hosted by Recording Academy P&E Wing Sr. Executive Director Maureen Droney, was held in conjunction with the 131st AES Convention.